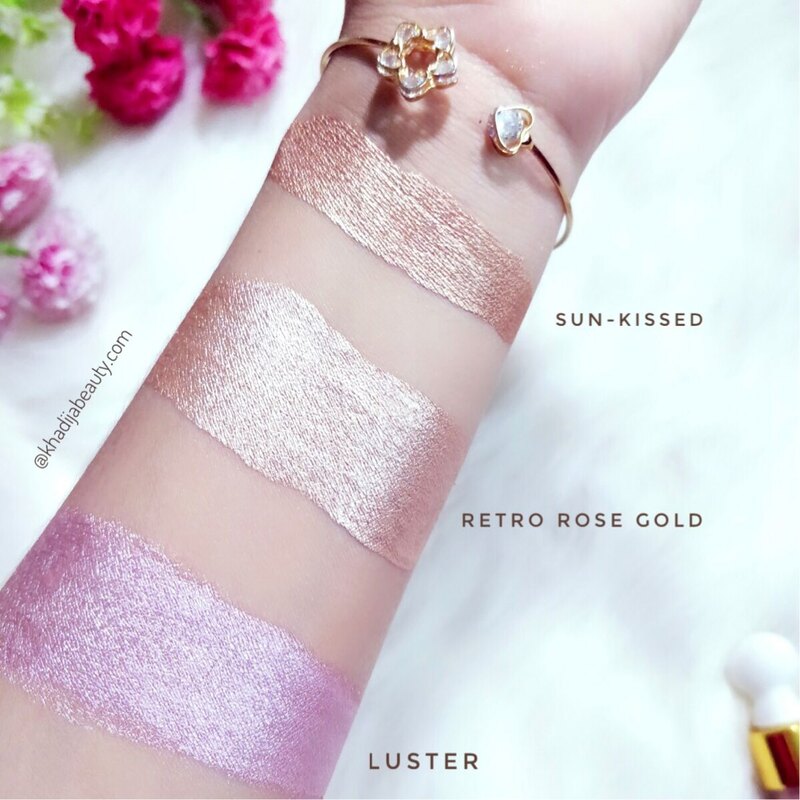 TS cosmetics which was previously available exclusively on Instagram has their own website now thus making the whole shopping process way easier. 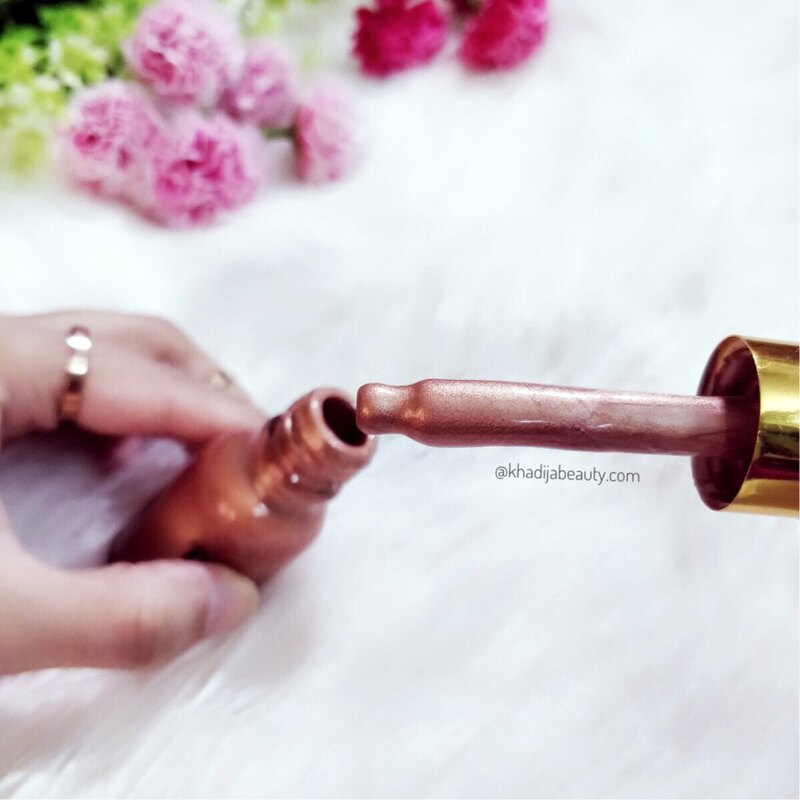 A month back I compared TS cosmetics gold elixir with indulgeo gold elixir where I gave a quick introduction about this brand. So without delaying it further let me give you guys my review on TS cosmetics highlighters. Aqua, ISODODECANE, cyclopentasiloxane, polybutene, silica, Cetreath 25, dimethicone, caprylic/ triglycerides hydroxypropyl, stratch phosphate, ISCAGUARD PEG, Iscaguars DMD. So as it is a glass bottle you have to be extra conscious while traveling. I am going to review 3 shades. How’s the consistency and smell? As the name suggests these liquid highlighters have a consistency of thick liquid. This consistency is perfect as a liquid highlighter. However, I felt the shade Luster is more liquidy compared to the other two shades. 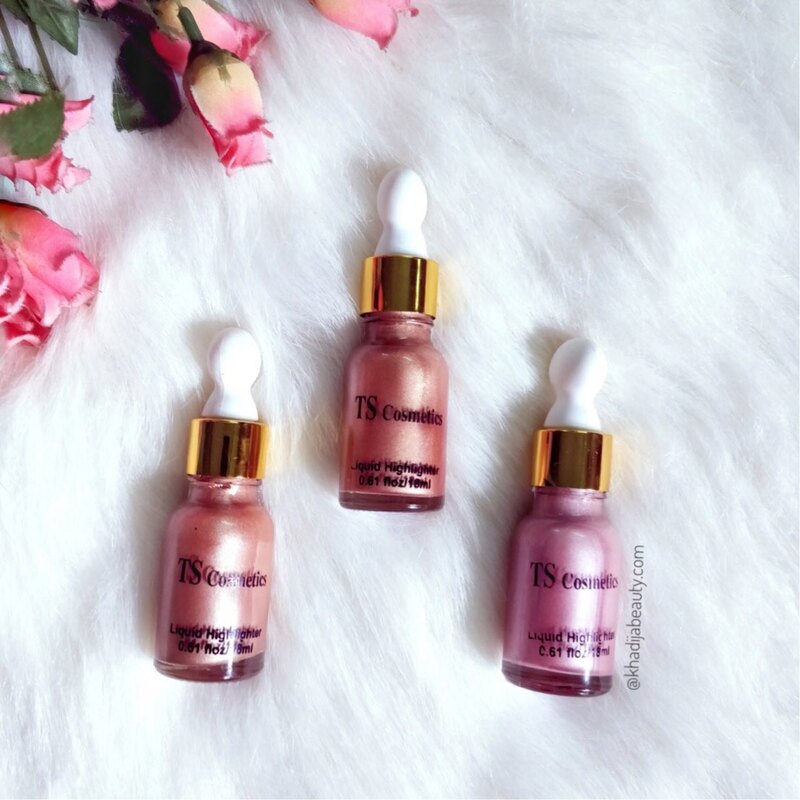 These TS cosmetics liquid highlighters smell so delicious. It has a choco-vanilla fragrance to it which you can smell even after applying on face. The fragrance is not too strong, so people with sensitive skin can take a chill pill. If I had to tell it in one word then it’s SUPREME. The biggest downfall of any highlighter is that they end up looking too glittery. But this TS cosmetics highlighters has a creamy texture and you would not find any chunky glitters in them **which is a big yayyyy**? 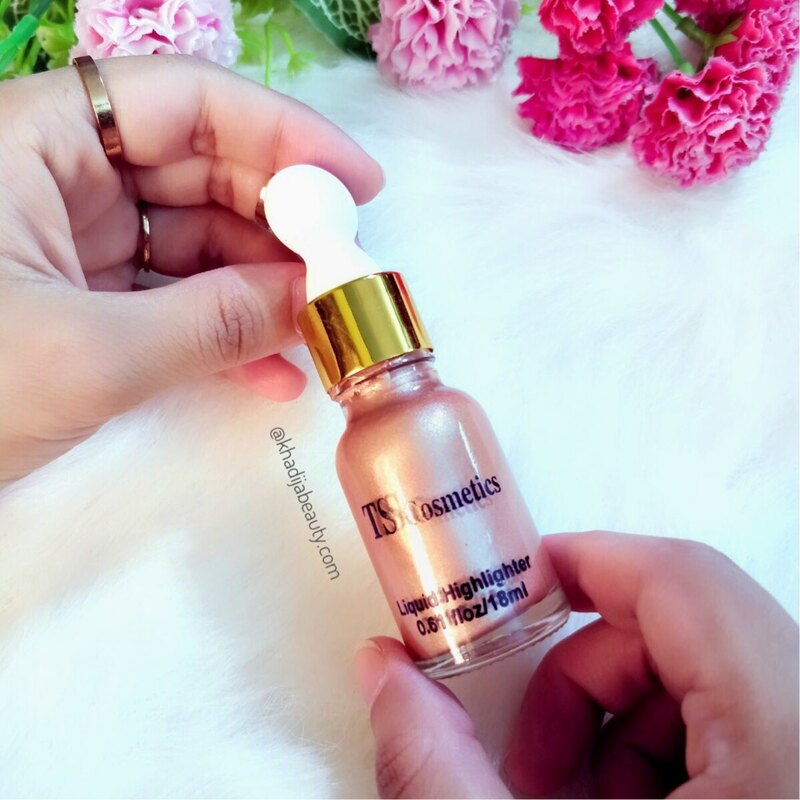 How’s the pigmentation of TS cosmetics liquid highlighters? All the three shades are amazingly pigmented. They look so damn beautiful and give a blinding glow. They are so pigmented that you wouldn’t need much product to get the glow. And if you are like me who don’t prefer blinding glow then you can achieve a subtle natural glow as well with these highlighters. It all depends on the amount of the product you are using. If you need a subtle glow you can just touch the dropper on your high points without having to actually drop the product out. The dropper stick has enough product for you to get that subtle glow. Tip: To get a very intense glow, apply powder highlighter over your liquid highlighter. Sun-kissed– A bronzy golden-ish shade best suited for medium to dark skin tones. This shade didn’t suit my skin tone. So I can’t actually use it as a highlighter. Luster– A pinky shade with a pearly silver glow. This is suitable for fair skin tones. So this shade was kinda confusing to me. When I applied it directly on my face I couldn’t see any glow. But then it showed up when used over a foundation. And this particular shade needs more product to show up when compared to the other two shades. I guess the formulation of Lustre is different. Initially when I wasn’t able to see the glow or anything on my face after using luster, I was disappointed and thought this shade again is not for me. But then later when I tried over a foundation it gave me a blushed pinky glow? which I absolutely loved. 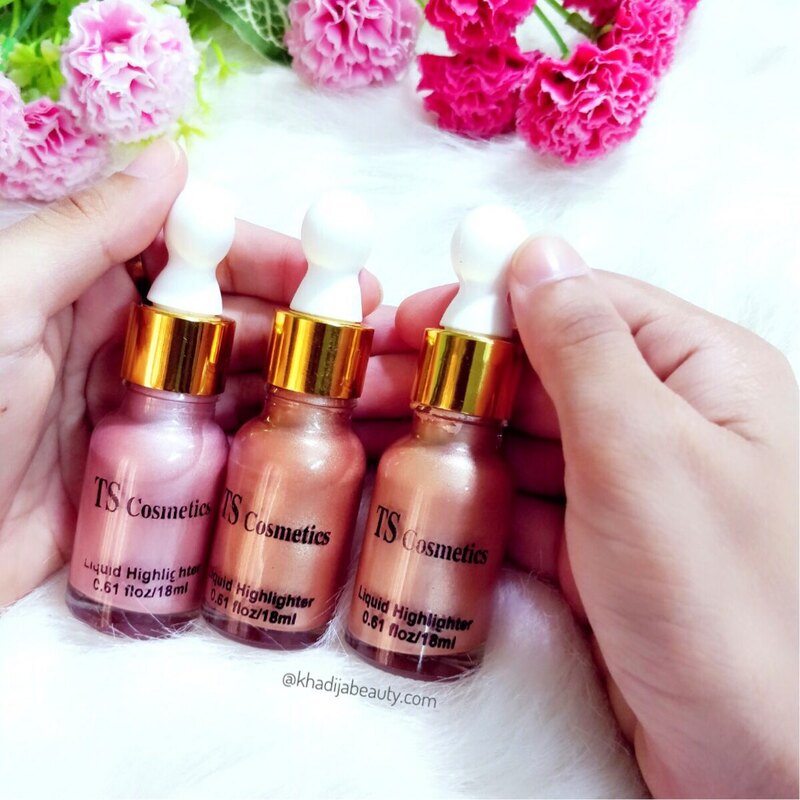 How’s the blending power of TS cosmetics liquid highlighters? How do I use TS cosmetics liquid highlighters? As I said earlier, I prefer subtle glow so I just dab the dropper stick on the areas I want to highlight and then blend them with my beauty blender. 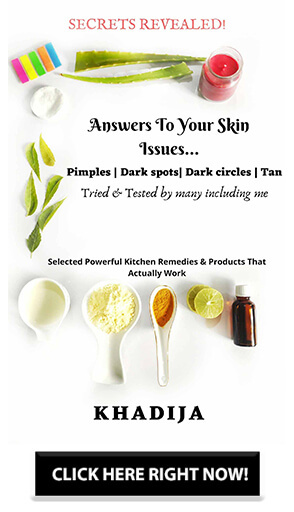 This way the extra product get absorbed into the skin and I get a beautiful subtle glow. I personally love highlighting my nose tip than any other parts. And yeah these highlighters are not waterproof. It gets washed off with water very easily. But if you set them with powder or makeup fixing spray it will stay in place for hours. I don’t usually wear makeup for longer hours. But those who tried these highlighters claims that it has a staying power of 8 hours and more. How to use a liquid highlighter? I was asked this on my Instagram as to how and when to use a liquid highlighter. A liquid highlighter is meant to be used before powdering your face. Which means after applying your base ( foundation/bb cream/CC cream) you have to use the liquid highlighter. 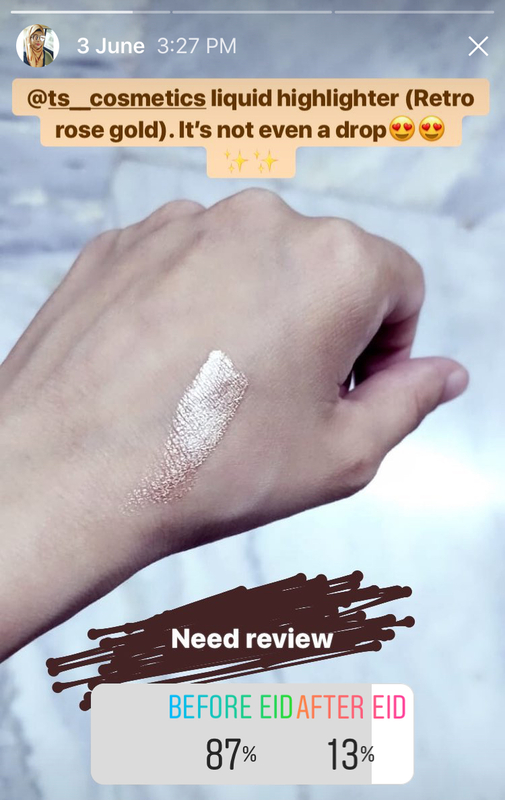 If you use it over your powder then it will look awful and ewww because the liquid highlighter will melt the powder and would clumsy in those areas. So besides using them in their traditional way, you can use these highlighters on your eyelids as an eyeshadow. To get a subtle luminous glow you can add a drop of highlighter to your foundation or mix it with your moisturizer. I tried mixing TS cosmetics Luster with my moisturizer and I did get a veryyyyy subtle glow. But with sun-kissed, I got a beautiful radiant look all over my face. 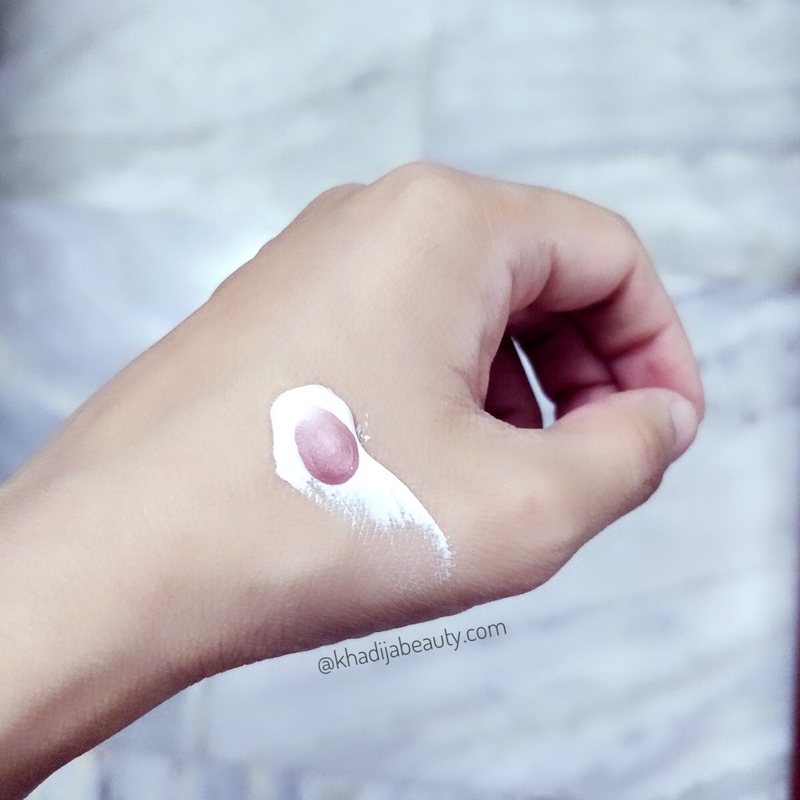 If you have dry skin then this is something you would love as powder highlighter may make your skin look flaky. The packaging. I would suggest them to have a bottle with a wider mouth to prevent the wastage. Because while closing the cap, some of the products ooze out from the mouth and that literally breaks my heart? If you are looking for an affordable liquid highlighter then I would highly suggest you guys to try this. I think this is the only Indian brand who has come up with liquid highlighters that too at such a good price with such a good quality. It gives a gorgeous luminous glow just like any high-end highlighter would give! So that is it guys. I personally loved the shade Retro rose gold as a highlighter. 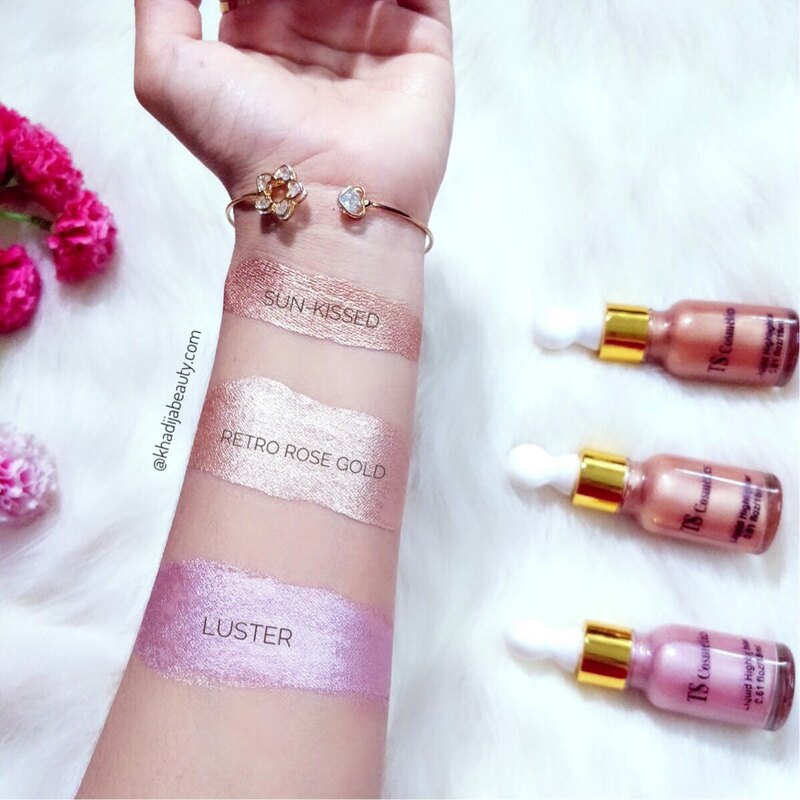 If you have a fair to medium skin tone then you can definitely opt for TS Cosmetics retro rose gold. 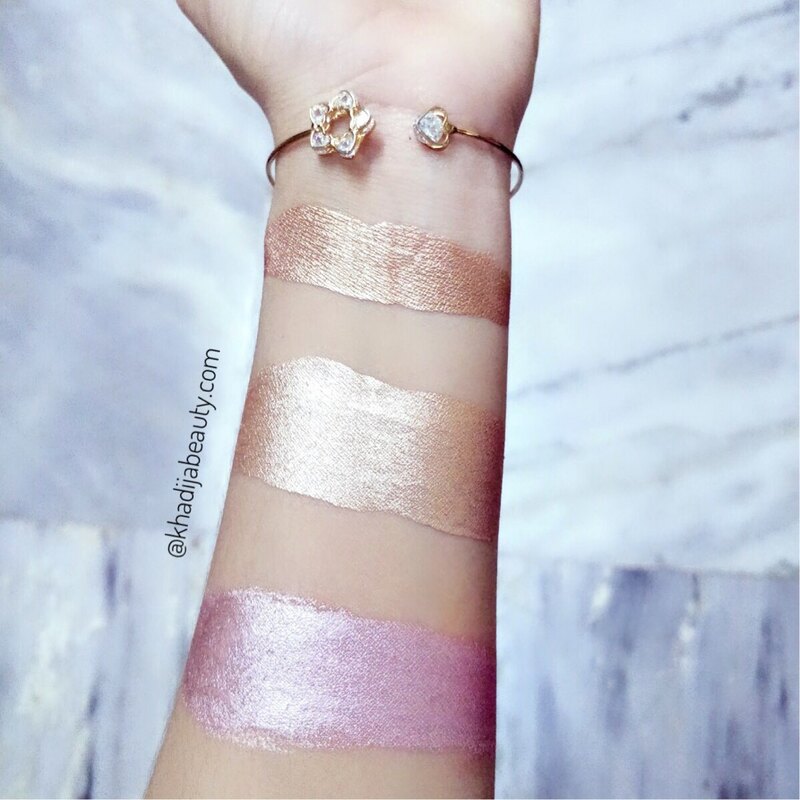 I have seen the swatches of their another shade called champagne which looks so perfect for my skin tone. I really wish I had got that shade instead of Sun-kissed. Because my highlighter shade is champagne and if you have a fair skin tone then you can go for the shade “champagne” too ** I haven’t tried that personally though ** Have you tried this? If yes then let me know your experience too. And if no then you can invest in these. Because it is worth trying!